It has previously been alleged murder accused Radovan Krejcir owed a former acquaintance and possible state witness Miloslav Potiska half a million a rands. The claim was made again yesterday by the state in Krejcir’s bail hearing in the Germiston Magistrate’s Court. Krejcir, Borislavlov Grigorov, Siboniso Miya, Siphiwe Memela, and Nkanyiso Mafunda are on trial for the murder of Sam Issa in Bedfordview in 2013. Krejcir and Grigorov are applying for bail in the Germiston Magistrate’s Court and the hearing looks as though it’s heading into a second week. 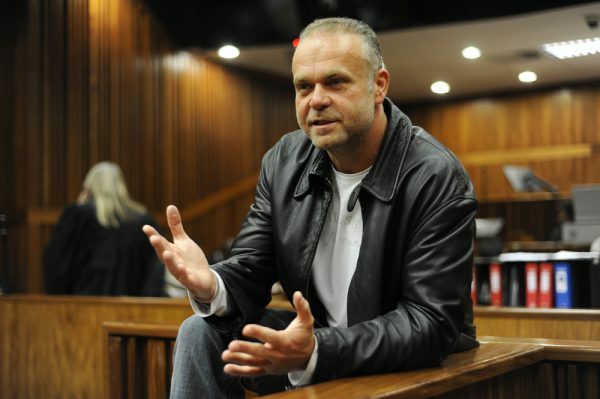 Yesterday Krejcir’s defence advocate, Anneline van den Heever, read in a statement by her instructing attorney, Piet du Plessis, stating Krejcir’s R500 000 bail money for an insurance fraud matter had been paid by his mother, Nadezda Krejcirova. According to Krejcir, the state has no physical “objective” evidence which places him on the Issa crime scene. He challenged prosecutor Lawrence Gcaba again yesterday to produce objective evidence, which Gcaba ignored. Du Plessis also stated he had invited prosecutor advocate Lawrence Gcaba to investigate his financial records but the invitation had been turned down. It also emerged yesterday Krejcir had known one of the officers of the National Investigation Unit investigating him since 2009. The officer is responsible for transporting Krejcir too and from court as well. “I’ve got a long history with her, I knew her before. I don’t know if you know this, she was close person with my friend long time ago, with Cyril Beeka,” Krejcir said. “She was in his presence most of the time. She came even into my house a couple of times, I’ve had dinner with this woman, you know with Cyril Beeka. I knew her before this investigation, before I understand she is involved in this investigation,” he added, referring to the Issa trial. Beeka was a former Umkhonto we Sizwe operative who died in Cape Town in 2011. The National Prosecuting Authority has requested the officer – whose name is known to The Citizen – not be identified as she often performs undercover work and this could be compromised. The bail application continues on August 6.